When my character Jens studied at the Music Conservatory in Leipzig in the 1880s, it was seen as one of the greatest centres of excellence of European musical study. 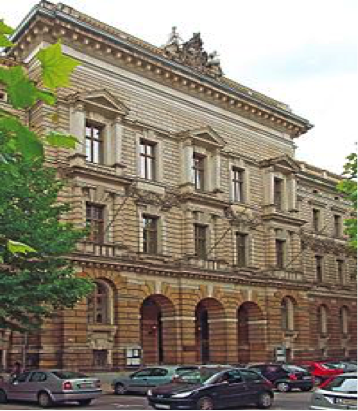 It was founded in 1843 by the renowned German composer and conductor of the Leipzig Orchestra, Felix Mendelssohn Bartholdy (above), and is the oldest institution of its kind in Germany. The musicians of the orchestra were obliged to act as teaching staff, a tradition unbroken until German reunification in 1990. 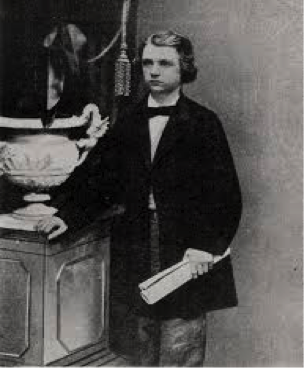 Edvard Grieg (above) attended between 1859-1862, and disliked its conservative atmosphere, which only looked to the musical past. In contrast, he preferred to seek his inspiration in the works of more recent masters such as Chopin, Wagner, and Schumann, all of whom were revolutionary romantic composers. Still, he received an impressive education, studying the piano under Ignaz Moscheles, who had known Beethoven and Mendelssohn. Grieg eventually completed his studies in composition with the composer and conductor Carl Reinecke. Though he did not greatly value his time at the Conservatory, his future work was markedly influenced by his exposure to German romanticism in Leipzig. Other alumni of the Conservatory include the English composer, Frederick Delius, who took great inspiration from Grieg’s work, and the German-born American composer, Herman Berlinski. In 1887, the school moved premises to Grassistraße 8, in the ‘music quarter’ of Leipzig, southwest of the city centre. The Conservatory was closed down during World War II. The name of the school has changed numerous times since it opened and is now called the ‘University of Music and Theatre Leipzig’. Music is a fundamental part of Leipzig and its people, and the city today is a site of experimentation into new forms of music, but it still celebrates its great classical composers of the past.